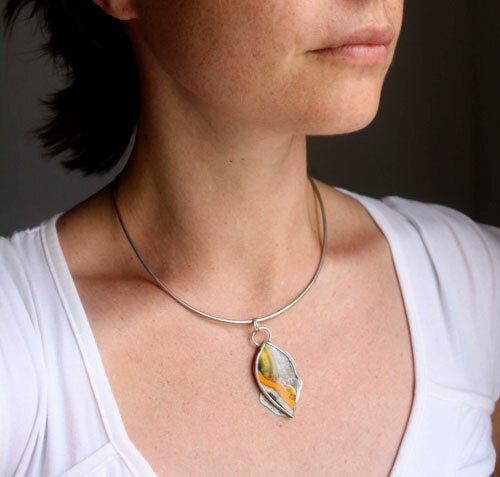 This pendant is made of sterling silver (925) made by hand in my workshop, and a beautiful bumblebee. 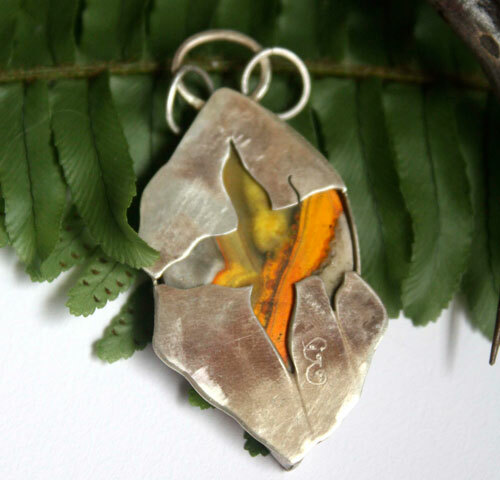 This pendant is designed around this bumblebee. 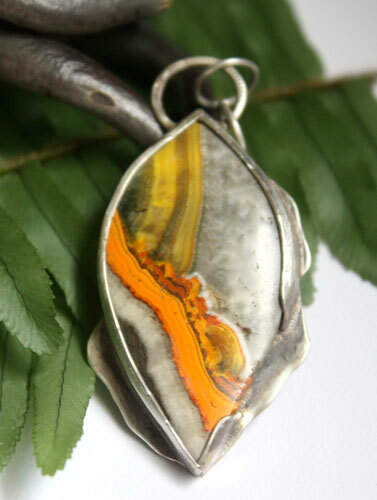 Pointed oval or almond, this cabochon has a gray and cloudy background with dancing lines in yellow-orange shades, typical of bumblebee. It reminds me a dancing flame and lightning streaking the gray sky. 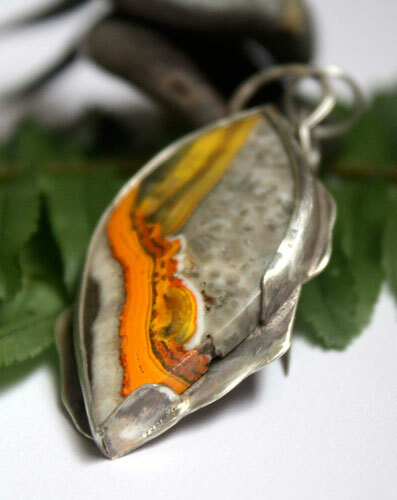 Therefore, I set this semi-precious stone on a silver plate with irregular cut to combine with this idea of dancing flame and lightning streaking the sky. 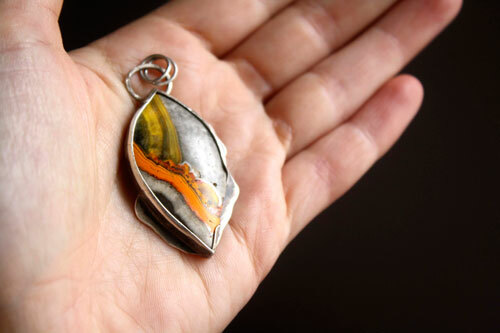 I also pierced the back of the pendant, with a dancing flames form or lightning splitting into several branches. The advantage is especially to allow admiring the stone on both sides. I chose to call it Liekki, which means flame in Finnish. The Sami, northern tribe of Finland, has a tradition to switch on many fires on the sacred mount Saana. This is offerings in honor of the god Ukko, god of storms and lightning. 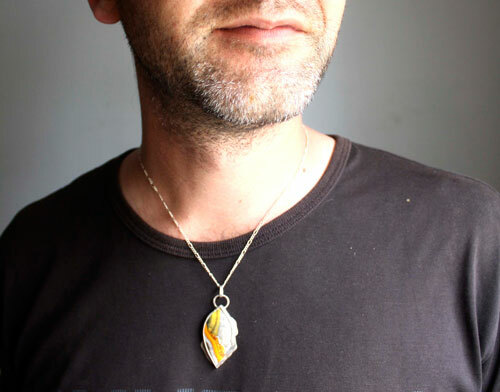 A way to link the two concepts I was lends this pendant. The surface is 5.5 x 2 cm. 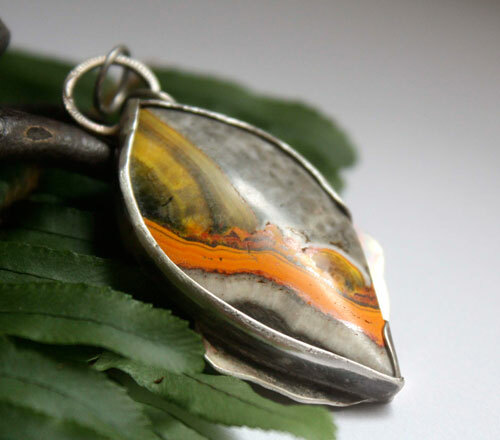 Tag: pendant, sterling silver, man, unique, agate, bumblebee, gift, valentine, mothers day, birthday, cabochon, semiprecious stone, lightning, thunder, god, fire, flame, Finland, Finnish, offering, mountain, sacred, dance, dancing, zebra, Ukko, Sami, legend, mythology, north.